Winter is coming, and it’s time to put away the summer clothes and unpack the heavy-duty winter gear. If your winter coat is filled with more holes than actual fabric, it might be time to invest in a new one, but it doesn’t have to cost you a fortune. 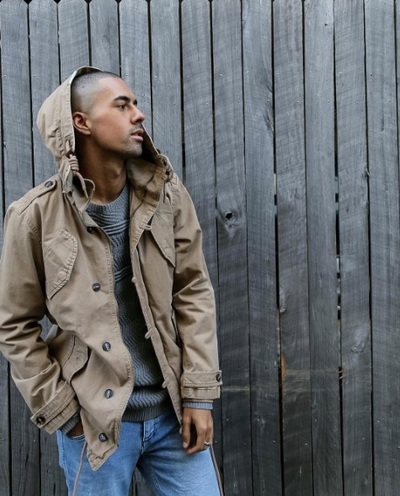 Aside from buying second-hand or swapping with friends, there are affordable options for men’s outerwear—and no, we don’t mean just sucking it up for the winter. Keep reading for a list of budget-friendly outerwear solutions that will keep you (and your wallet) warm and happy through rain, sleet, snow, or shine! If you live in a warmer climate, you might be able to sneak by with just a raincoat for your winter season. 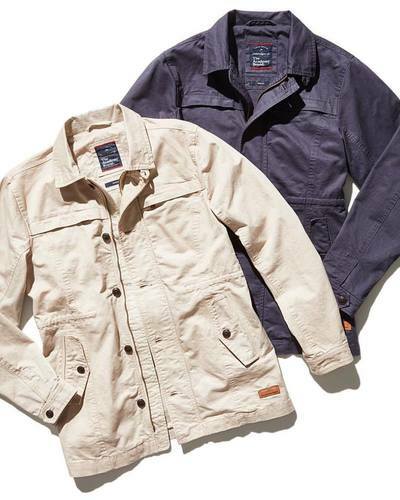 If so, you’re going to save a ton of money, feel a lot cooler (literally—a rain jacket won’t weigh you down like a winter jacket does), and have a lot more options to choose from. Since you don’t need a quality filling to keep you warm, you can really choose a style that you love; we’re seeing tons of longer rain jackets in bright, fun hues like yellow, baby blue, and green. A classic option, the pea coat literally never goes out of style, and it’s pretty hard to mess up. If you’re on a budget, the pea coat is a smart choice: you can find tons of affordable, heavy-duty wool pea coats that are well made, and they can work on both casual and smart outfits so you’ll get a lot more wear out of it. Athleisure is one of the hottest trends around, and bomber jackets are a great way to infuse the look into your everyday wear. If you’re looking for a casual look that you can wear on nights out and errands, you can’t go wrong with a laid-back bomber jacket, a beanie, and sneakers. They’re surprisingly warm, and they look fantastically layered over long plaid shirts, denim jackets, hoodies, and pretty much anything else you can fit under there. The best part is? They’re a fraction of the price of proper winter jackets! 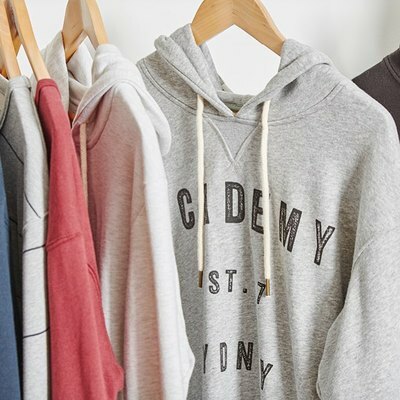 The Academy Brand has fantastic on-trend options that you’ll love to add to your winter wardrobe. Sometimes, you just want to get your detective look on and for that, nothing beats the old’ trench coat. Just like the rain jacket, it’s a great option if you’re looking for something water resistant and not too heavy; unlike the rain jacket, it’s much more stylish and suitable for work and evening wear. If the classic beige isn’t your style, try black, cream, or even grey for an interesting change. Warm coats within the budget aren’t easy to find, but they do exist. If you’re looking for the most warmth for your buck, choose a down jacket—it’s come a long way since the early puffer jacket days, and now you can get the warmth without the bulk. If you opt for the synthetic down filling instead of actual feathers (save the ducks! ), you’ll save a bundle while bundling up.